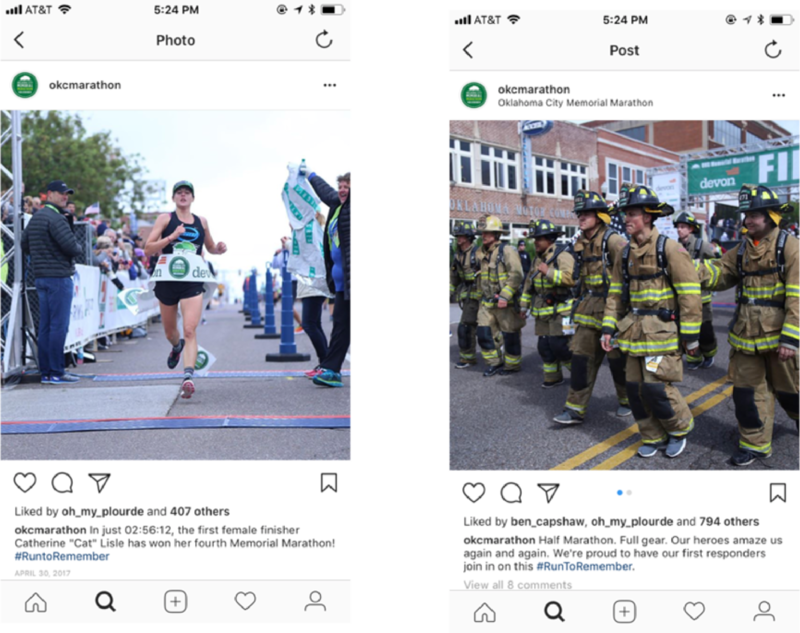 In April of 2017 and 2018, Lindsey + asp maintained all of the social media accounts of the memorial marathon in the weeks leading up to the race. On the day of, 50-60 members of our team headed into the city at 4:00 AM to create and push out massive amounts of live content about the race, while our digital team responded in real-time to racers and fans via our social monitoring tool nuvi. Our digital and video teams worked together to track the races and push out live updates about finishers as they crossed the line, for the larger community following along at home. We also captured moments that brought the #RunToRemember tag to life- like this shot of a group of first responders who complete the half-marathon every year in full gear, a woman who ran the race just 44 days after having heart surgery, and even a marriage proposal.